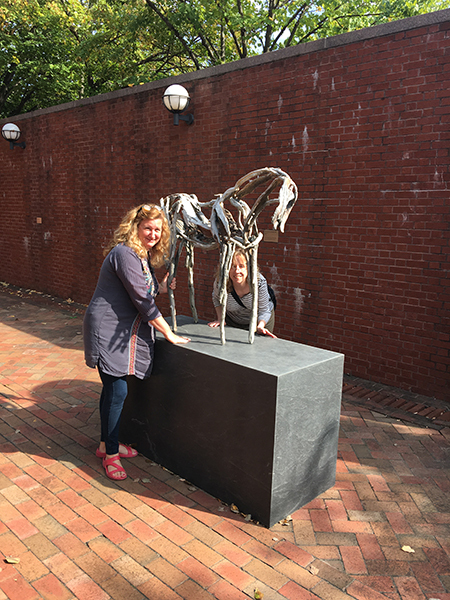 Faculty also enjoyed a guided tour of Weatherspoon Art Museum, located adjacent to Gatewood Art Building on the campus of UNC-G. 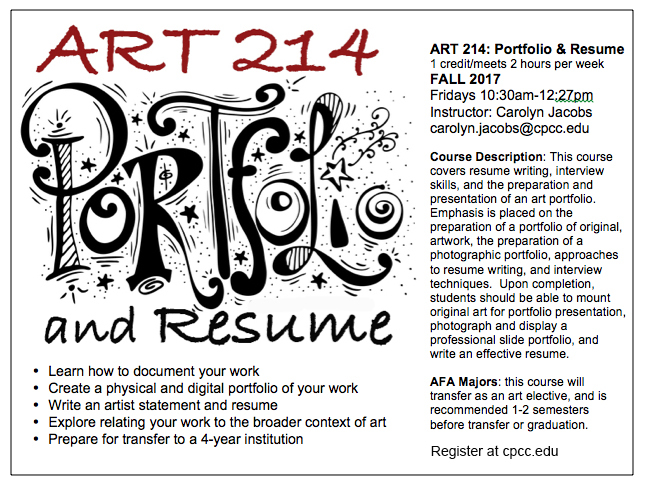 The CPCC Visual Arts Department is proud to announce that three Associate in Fine Arts alumnae , Elena Calebro, Brittany Little and Christina Hall are exhibiting in their BFA show at UNCC, opening today at Rowe Galleries. 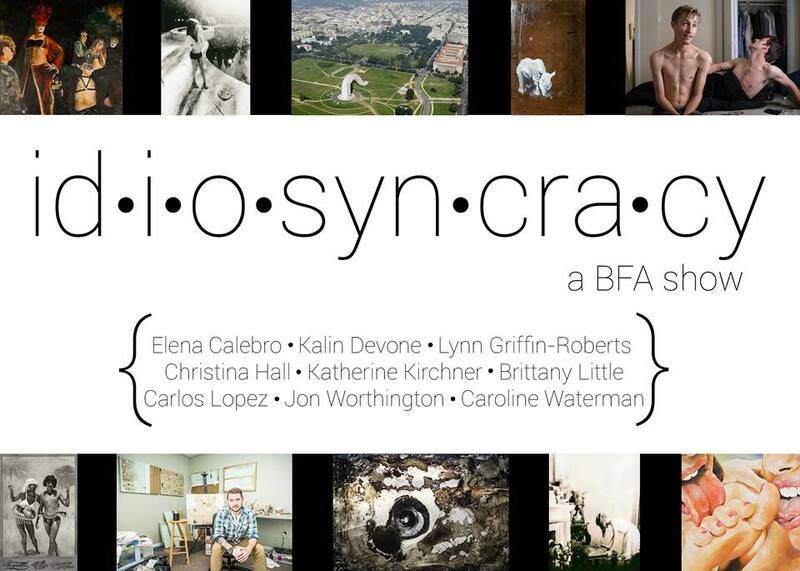 Artists featured in this show are Elena Calebro, Kalin Devone, Lynn Griffin-Roberts, Christina Hall, Katherine Kirchner, Brittany Little, Carlos Lopez, Jon Worthington and Caroline Waterman. 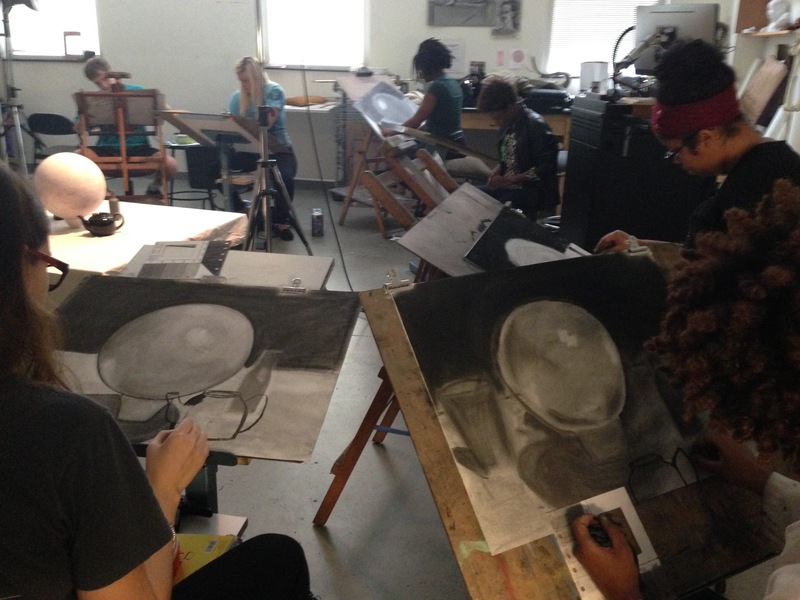 The artists will be hosting a panel discussion at 4pm on April 8th in Rowe Arts building where they will speak about their artwork and you will have the opportunity to ask them any questions. Then at 5pm the reception will be held in the Rowe galleries, where there will be free food and lots of fun. The exhibition will run from April 6th to April 14th. VISITOR PARKING: Free Parking in EAST DECK during opening reception only; please bring your ticket to the exhibition for validation. Enter through the main entrance of campus (off of University City Blvd.). Make a right at the traffic circle. You will pass Robinson Hall on your left. Continue around the curve and the EAST Visitors’ Deck will be on your right. 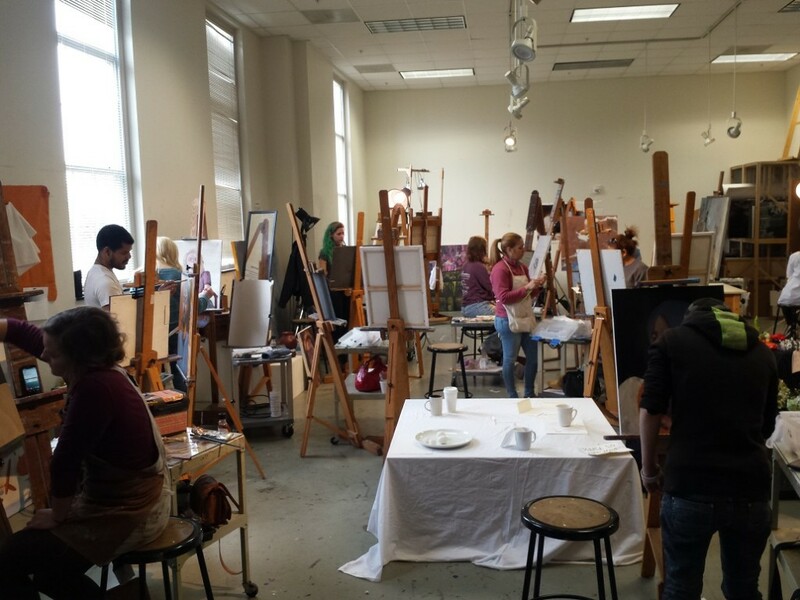 Students working hard in Isaac Payne's Spring 2014 Painting I class. 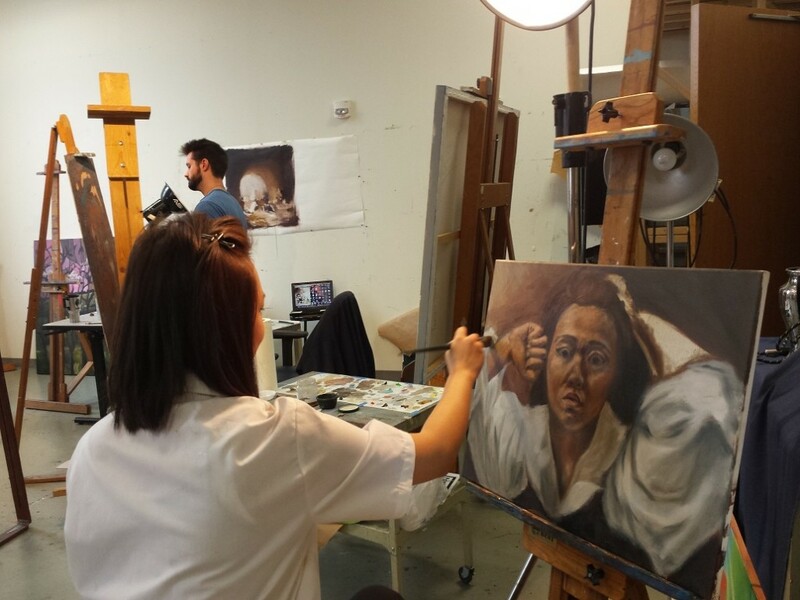 Korky Yang completes her self-portrait as Gustave Courbet in Isaac Payne's Spring 2014 Painting I class.